Thin Lizzy 6 in 1 combines 6 fundamental make-up must-haves into a single compact – including blusher, bronzer, eye shadow, face framer, contour and lip colour. 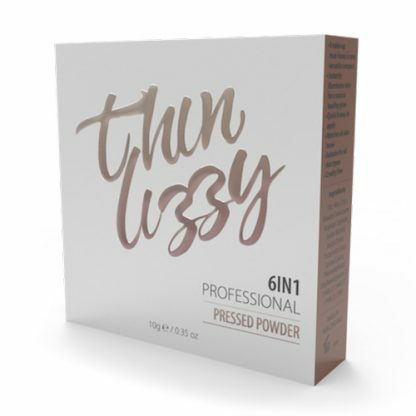 Thin Lizzy 6 in 1 Professional Powder is an advanced make-up miracle that delivers a beautiful, radiant glow from head to toe! It replaces 6 other make-up products in one convenient compact. It’s a contour, eyeshadow, blusher, lip colour, face framer and bronzer all in one! You can even use it as a full face foundation, for a natural-looking luminous complexion. 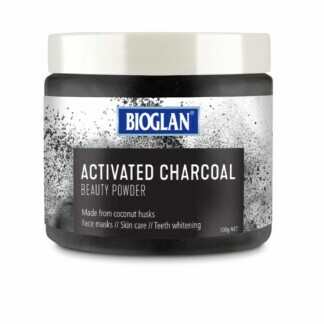 The secret is the advanced powder formula that includes thousands of pearlised minerals and colour corrective pigments that reflect and enhance your natural skin tone. Because of it’s translucent nature, you can keep applying to build your desired shade. 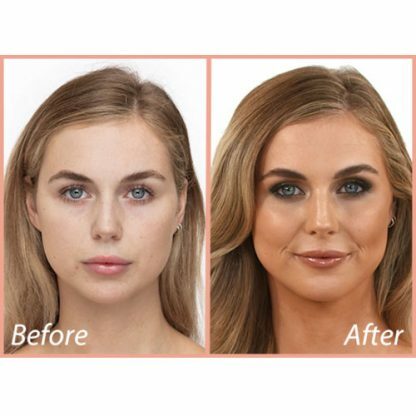 Our Auckland based makeup chemist and a team of specialists have spent years perfecting the Thin Lizzy range, trialing, testing and analyzing each product in order to create the phenomenon that is Thin Lizzy today. Since launching, the range has expanded from the versatile 6in1 compact to include, mineral foundations, concealer crèmes, eye pencils, lip gloss and bronzer. Now a favourite with professional makeup artists Thin Lizzy is used on sets internationally. We continue to develop new exciting makeup products, so watch this space for our next creation! Have been using Thin Lizzy for years & love it. People always comment how well I look when wearing my Thin Lizzy products.